Inner cover blurb: '"Good times are just around the corner," the catch phrase of the Depression years, offered the promise of better days which never seemed to come. And yet the best days of all, the days of a family bound together by love regardless of adversity - these are the days portrayed in this vital and penetrating novel of family life in the Texas Panhandle in the 1930's. Another Part of the House is told through the eyes of ten-year-old Larry Morrison, who is aware that the times are troubled but doesn't know why. He understands conditions only insofar as they affect him and his family. To him, the Depression, the drought, the dust, and, most of all, death are potential destroyers of the only real security a child knows - his home. "Stealing and dying," Larry observes, "both of these terrible things happened in our own family right under my very nose, and here I was still living, eating, sleeping, playing, breathing and walking around on two legs." Quick flick reveals: "I found Another Part of the House fascinating and enjoyed it enormously," said P.G. Wodehouse of this book, which we can safely assume means he didn't read it. 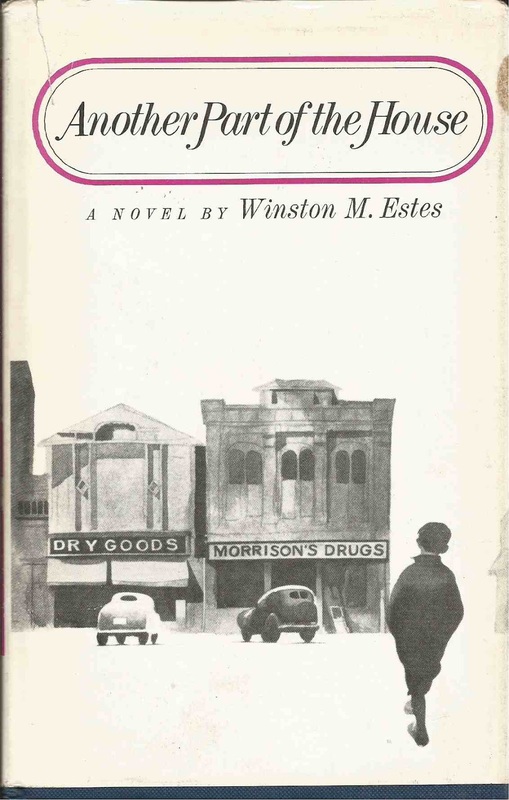 Estes seems pretty much lost to history, perhaps because his characters 'exclaim' 'agree' and 'command', rather than just 'say' things in the Elmore Leonard-approved style that marks the barriers of good taste right now. Still, looks pretty interesting, although probably not as good as A Garden of Sand by Earl Thompson.